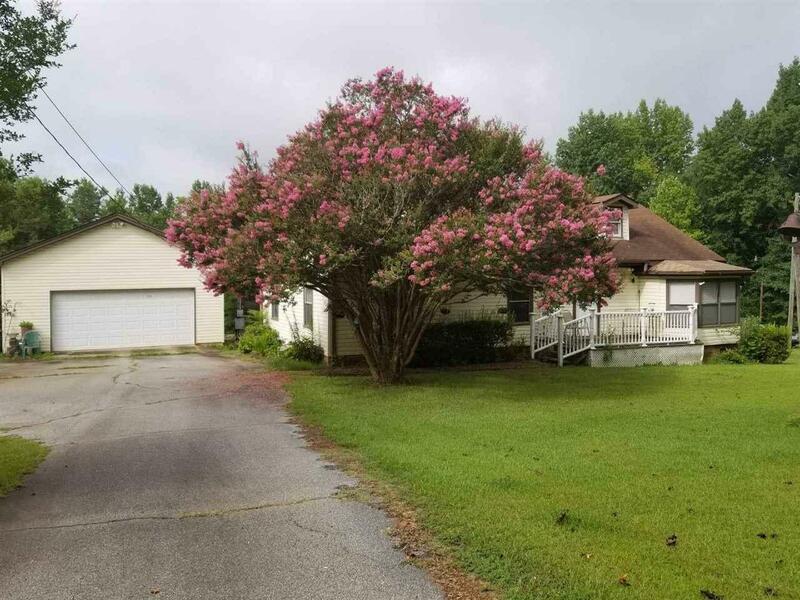 5813 Locust Hill Road, Travelers Rest, SC 29690 (#253651) :: Century 21 Blackwell & Co. Realty, Inc.
Back on the Market! Looking for acreage and no subdivision restrictions? This home is nestled on 2.68 acres of quiet, cleared land. Updates needed! It is originally a mobile home with stick built additions. Home features an over-sized 2 car detached garage that is in great condition with an electric door. Home also features a large covered back deck, a dining room/breakfast area, and a nice sized room off of the master bath that can be used as a home office or a large walk in closet or could be an addition to the bathroom. This home is a Handy Man special! It is in need of a new flooring system as there are many soft spots in the floor. The walls need wall paper removed and a coat of paint to be brought up-to-date. A new roof will be needed soon. Gas pack for heat and are was new in 2014. Appliances are all high end and fairly updated. Windows are in good condition. Owner occupied. With a little work, this house will be great whether you are looking to live in it personally, rent or re-sell. Home is being sold "AS IS." Attention Investors! Good schools, close to Mountains! Cash buyers or conventional loan only.